Bucharest, May 20, 2015 – P3, the specialist owner, developer and manager of European logistics properties, has moved into larger premises in Bucharest to accommodate an expanded country team and to be more accessible to clients at P3 Bucharest park, the company's first investment in the Romanian market. P3’s new Romanian office is located in the well-known Cotroceni business district of the city, within a modern building built in 2012 to the highest standards. The office is double the size of P3’s previous premises, with underground parking available and excellent accessibility to the Eroilor metro Station and bus stops nearby. Earlier this year, P3 acquired the largest logistic park in Romania from CA Immo. The P3 Bucharest Park, consists of 215,000 m2 of space that is fully occupied, plus 40 ha of land for development. 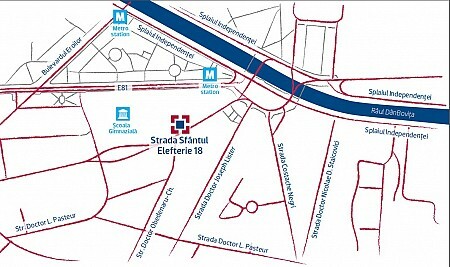 P3’s new address is: Sfântul Elefterie Street, No. 18, 3th Floor, District 5, Bucharest. All telephone numbers remain unchanged.